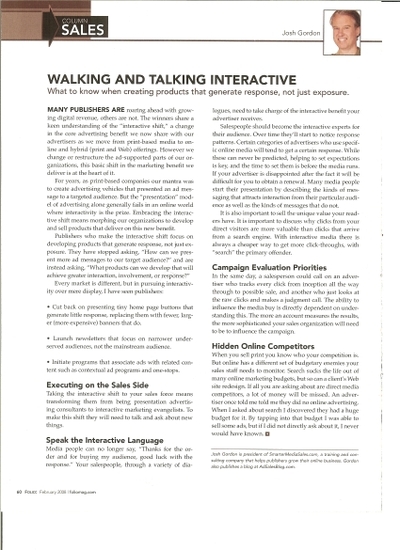 Folio Column: Managing the "Interactive Shift"
Usually I post a link to my Folio columns their website but a link has not been posted yet. I think of this as my most important "sales transition" column as it maps the underlying issue that is driving the whole transition. It's not about new technology. 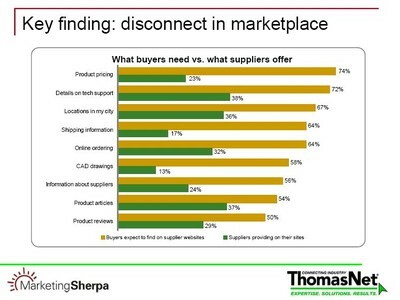 It's not about adding the latest cool on line product to your sales offerings. It's not even about keeping up with the future. It is about the fundamental shift in what marketing is, as we move from marketing that presents messages to a targeted audience, to marketing that engages individuals in interactive experiences. If you develop your media products, promote your media, and manage your sales staff with this fundamental shift in mind you will be successful in the future. "Rounding Up the Online Laggards"
"Rounding Up the Online Laggards" on the Folio webiste. 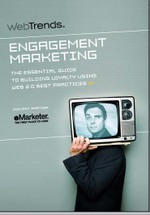 WebTrends has issued a great little book built on content from e-Marketer called, “Engagement Marketing, the Essential Guide to Building Loyalty using Web 2.0 Best Practices.” The guide shows all the new digital ad media from mobile advertising, to Internet video advertising, to podcast advertising etc. 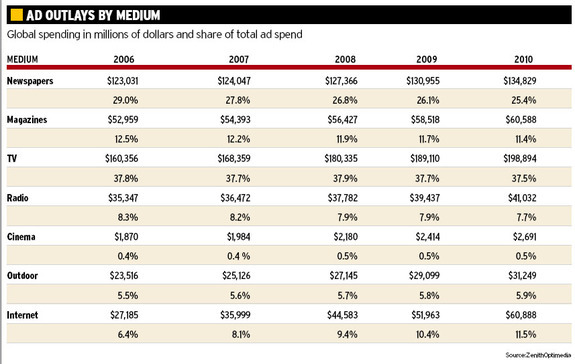 Each new ad medium is given a concise evaluation and a revenue projection chart to the year 2011 or so. It is smart, simple, and brief. It is a Zagat-like guide to the new ad media that makes it simple to see things are moving ahead on many fronts. For your web laggard client struggling to place his first web banner, showing him this 55 page booklet will be a shock to the system. Don’t be an arrogant Internet jerk, be a consultant. Show your client a copy of the booklet and explain what it is. Then move quickly to the page that shows the new medium your client is now considering. Now show him/her the growth curve out to the year 2010 etc. Finally take a step back and show him the bigger picture by showing trend charts for a few other emerging media. You are subtly making the case that your client is not just behind the power curve, the whole game is moving on and he’s not in it. 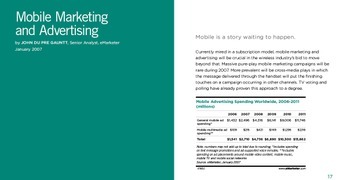 Download a FREE PDF at the WebTrends website (registration required).